Ka Pasasouk now faces four counts of murder in the slayings of two men and two women in Northridge. 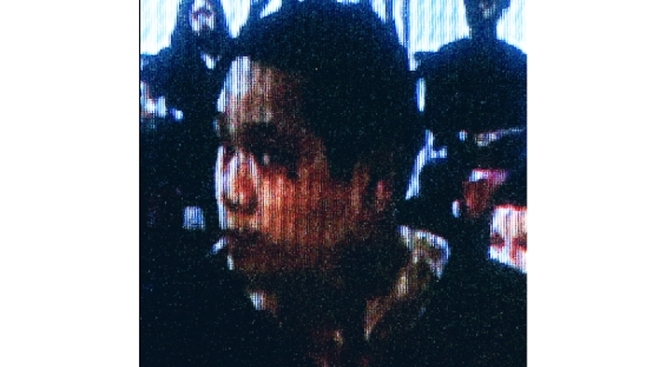 Suspect Ka Pasasouk is seen on a television monitor during his extradition hearing in Las Vegas on Dec. 6, 2012. The suspected shooter in a Northridge quadruple homicide, Ka Pasasouk, was ordered deported to his native Laos six years ago, but it fell through when needed travel documents could not be obtained, according to U.S. Immigration and Customs Enforcement (ICE). Pasasouk has a history of felony convictions that date back at least as far as 2006. Since his most recent arrest in Las Vegas on Monday, Pasasouk has waived extradition and will be returned to Los Angeles to face murder charges in connection with four slayings outside a Northridge boarding house on Dec. 2. In 2006, a federal immigration judge ordered Pasasouk deported "based upon his criminal history," according to a statement issued by ICE, in response to an inquiry by NBC4. At the time, Pasasouk had been convicted for felony assault and second-degree robbery. In 2008, after Pasasouk was released from California State Prison, ICE "took Pasasouk into custody, but was unable to obtain travel documents to facilitate his removal," according to ICE. A Supreme Court ruling in the case of Zadvydas v. Davis in effect set a time limit of 180 days for deportation orders to be carried out. For Pasasouk, that meant his release. Pasasouk was again sent to state prison in 2010 after conviction for "unlawful taking of a vehicle." He was released this past January and placed under the supervision of the Los Angeles County Probation Department. Four people arrested in connection with the slayings of two women and two men outside a Northridge boarding house agreed on Thursday to be extradited from Las Vegas to Los Angeles. Meanwhile, new details are emerging about the alleged gunman's probation history and early release from custody. Patrick Healy reports from Van Nuys for the NBC4 News at 5 p.m. on Dec. 6, 2012. Pasasouk never reported to his probation officer, according to Reaver Bingham, Probation Deputy Chief. In September, Pasasouk faced a charge of illegal possession of methamphetamines. The probation department report to the court recommended Pasasouk be returned to prison. But the District Attorney's office negotiated an agreement whereby Pasasouk would plead no contest and be placed in a drug diversion program. Judge Jessica Silvers approved the agreement, and Pasasouk was released, once again with the requirement he report to the probation department. On Nov. 14, Judge Silvers issued a bench warrant for Pasasouk when he failed to appear on time to show proof of progress. He did appear later in the day, and the warrant was withdrawn. Pasasouk still failed to report to his probation officer, and the department initiated the process to obtain a warrant. The paperwork was completed the day prior to the Northridge homicides, according to Bingham. ICE never took Pasasouk back into custody "since the agency still had no reasonable expectation of being able to carry out the court-issued removal order," according to ICE. Deportation to Laos historically has been problematic, ICE contends. During fiscal year 2012, the federal government was able to obtain only one travel document from the Laotian government, ICE reported.